Kaycee Klaren grew up on a farm in Battle Creek. She raised lambs and took care of horses, hogs and cows. She participated in 4-H programs. Her family still boards horses at a family stable. Now Klaren, 23, a 2013 graduate of Harper Creek High School, is pursuing a career in the agriculture field through Kellogg Community College’s Agricultural Operations Program. A partnership with Michigan State University that launched last fall, the program offers students the opportunity to earn an Associate in General Studies degree at KCC while simultaneously earning an Agricultural Operations Certificate through MSU, with all coursework completed entirely at KCC. Additionally, each Agricultural Operations student must complete a summer internship before graduating. Klaren is completing the internship portion of the program this summer as a dairy intern at Dimplex Thermal Solutions, a precision cooling equipment manufacturer in Kalamazoo. She works on market research for the company, visits dealers to see what cooling solutions they need for their products, and visits farms to see how their systems work. She finished up her Associate in General Studies degree at KCC this spring and will finish up her MSU requirements this year. 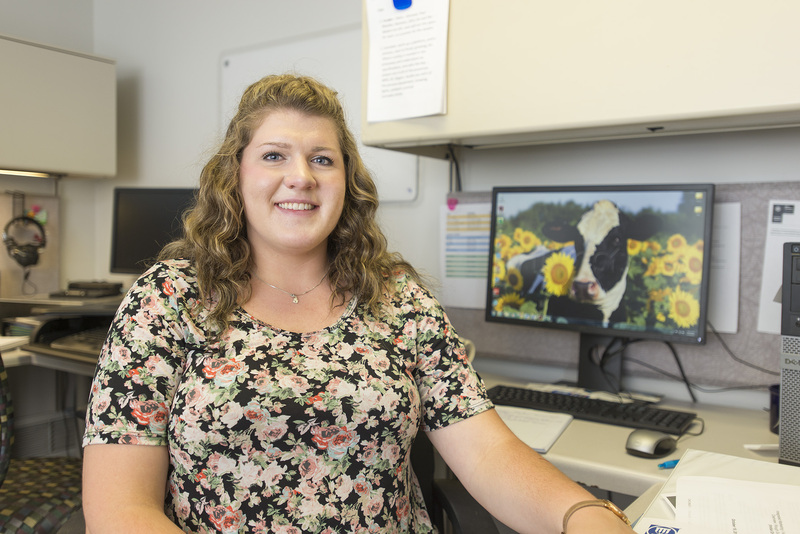 After the program, she’s considering continuing her education in ag business, but has thought about moving directly into the industry, as well, thanks to connections she’s making during her internship. Klaren is also interested in working with breweries, an interest she developed after taking a course in hops and hops production as part of the Agricultural Operations Program. She was able to attend the Great Lakes Hops and Barley Conference this spring in Kalamazoo, where many of the major hops farms in the region were represented. As if she wasn’t busy enough between her studies and her internship, Klaren is also president of KCC’s newly formed Collegiate Farm Bureau, with plans to use her background as a kid growing up in agriculture to help other kids learn about the industry. The group has been discussing the possibility of hosting an Ag Day at KCC to show how diverse the field of agriculture can be. It’s more than just planting corn and feeding cows, Klaren says. The application deadline for students seeking to enroll in KCC’s Agricultural Operations Program this fall is Friday, Aug. 10. Applications are available at www.kellogg.edu/agriculture. Contact Program Coordinator Kaite Fraser at kfraser@msu.edu or 269-965-3931 ext. 2092 for more information.